Since the time I first started working to fight homelessness, I’ve been reminded again and again that homelessness can happen to anyone, and it can happen to those who are in no way at fault for a life turn they never expected or couldn’t control. A job loss, a death, a divorce, an illness … it doesn’t take much to completely upend a person’s ability to support themselves or their family, and never has this reality seemed more clear than it did over the last month. During what became the longest government shutdown in U.S. history, this lesson played out on the front pages of our newspapers and online every day, in startling clarity. Here were stories of thousands of government workers suddenly without pay, standing in line for a free meal or to receive food or diapers from a local non-profit, many completely bewildered that they were suddenly on the receiving end of a program they had never before needed. There were stories of excepted workers having to call in sick not because they wanted to “strike,” but because they lacked the funds to fill their cars’ gas tanks. There were stories of elected officials sounding out of touch with the realities of how many Americans live paycheck to paycheck. How hard it is to get an emergency loan. How completely life-changing it is for families to miss one paycheck, let alone two paychecks. 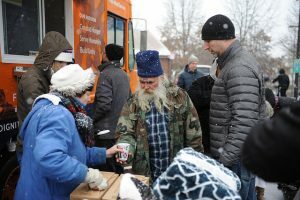 On the other side, we saw how hard these kinds of events can be on the non-profits who serve Americans in need, to suddenly see the numbers of people who need help swell by the thousands seemingly overnight. A lapse of funding at the Department of Housing and Urban Development meant that 1,150 federal rental assistance contracts weren’t renewed, putting thousands of residents at risk of being evicted. Food pantries were stretched thin in both food and volunteers. Grants were put on hold. People suffered. It’s a reality we see every day, and now, millions more Americans have gotten a glimpse of how quickly and unexpectedly life can change and how critical the programs and support services are that organizations like our many shelter partners provide. It was also a true testament to how resilient, resourceful, and steadfast non-profits are in identifying the need, finding funding, and working diligently to help our fellow humans in a time of crisis. HomeAid is no exception to this; we work every day to support our partners and provide safe, stable spaces so that people can heal and move forward … people just like me and just like you, people who are working hard to make ends meet and who want to see their children happy and healthy. Over the past month, the shutdown provided us a reminder that we are not alone and we truly are all in this work together. Help Make 2019 Our Best Year Yet! We had a great year in 2018, completing 15 projects and investing more than $1.1 million into building projects across our region. We saved our non-profit partners nearly 90 percent in construction costs. We updated a food pantry; built out a classroom; reconfigured a home for women veterans and their children; and transformed a 12-unit apartment building and several townhomes. And after each ribbon cutting, we reminded the residents that they’re worthy. That they deserve a beautiful home. That having a safe, stable home is integral to their recovery. That they can take advantage of wraparound programs and services to regain their independence. Find out exactly how we did it with our just-published 2018 Annual Impact Report, and watch for it in your mailboxes soon! And then, join us and help us do it all again in 2019! 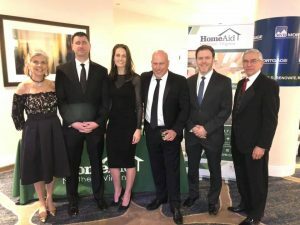 We look forward to another great year at HomeAid with YOU at our side. Aaron Tolson, ACTS; Steven Liga, ACTS; Brian Davidson, Van Metre Homes; Kristyn Burr, HomeAid; and Kathryn Kovacs, HomeAid (left to right) try out the new playhouse that VCI and Van Metre built for kids to enjoy during their time at the ACTS Women’s Empowerment Center. About one-quarter of the people served by our non-profit partners every year are children—children who don’t know what it’s like to have a stable, safe place to do their homework; invite their friends over; gather for a family meal; store their toys; or sleep soundly. It’s hard to play when surrounded by stress, and last month, HomeAid partner Van Metre Homes found a whole new way to show their support when they, along with VCI (Velasquez Contractor, Inc.), built a beautiful playhouse at the ACTS Women’s Empowerment Center. Two years ago, Van Metre tested the waters for the idea by building a playhouse that was a replica of a new home model in Leesburg, with the idea of raffling off the playhouse to anyone who entered by visiting their new design center. James Hardie Corp. matched the raffle ticket donations, and the effort raised $3,000 for HomeAid. The gift was enormously appreciated by ACTS, which provides affordable housing and serves many families with children in need. Want to learn more about HomeAid’s Project Playhouse and how you or your company could get involved and make a difference to the youngest served? Contact us! Cold weather poses a threat to those experiencing homelessness even when temperatures seem mild. Hypothermia can set in when temperatures drop below 50 degrees Fahrenheit, but many shelters don’t open until it’s much colder. 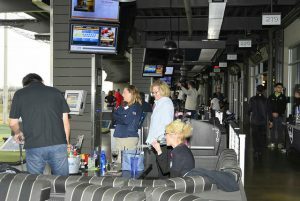 GolfAid Fundraising event to offer networking-only option in 2019! Meeting, greeting, eating, and golfing are all part of HomeAid’s GolfAid event! HomeAid Northern Virginia’s 2nd Annual GolfAid – a fundraising and business-building event to be held at TopGolf Loudoun on March 7 – is filling fast, with supporters looking forward to a repeat of last year’s enormous success that raised $30,000 and featured three hours of unlimited golf, networking with home builders and trade partners, great food, and an open bar – all in climate-controlled hitting bays. This year, we’re switching things up a little; we don’t want this popular event to sell out, and we know that golfing isn’t everyone’s thing. So, we’re offering two types of registrations – one for golfers, which offers full access to everything the event has to offer, and one for networkers, which offers access to the great food, great drinks, and great company! Regardless of where you land, all of the funds raised will support the multiple renovation projects we’ve lined up for the year. Your support will mean at-risk kids will have educational and safe after-school options; a struggling single mom will get the support and training she needs to regain her footing and her family’s independence; or an intellectually disabled adult who would otherwise be at a high risk for homelessness can regain confidence and self-esteem in a beautiful, well-cared-for home. We say it a lot: There’s a variety of ways to get involved with HomeAid, with an equally wide range of needed effort and resources. But it’s the start of a new year, and if you’re looking to make a difference in your community this year, we’re confident we can find a fun and easy way for you to help us help those experiencing homelessness! Please check out the range of ways you can get involved—light and heavy lifts welcomed! Volunteer serve a warm meal and distribute thermals and coats at a tent encampment in Woodbridge, Va. Celebrate your birthday with us: Help bring fundraising dollars—and help raise awareness amongst your friend circle—by setting up a Facebook Fundraiser! HomeAid will receive all donations automatically, with no extra steps needed from you. Designate HomeAid on Amazon Smile: Amazon will donate 0.5% of the price of your eligible AmazonSmile purchases to the charitable organization of your choice. Go to amazon.com and select HomeAid Northern Virginia (search for Housing Trust Fund of Northern Virginia, Inc.) as your charity. Then shop at AmazonSmile just like you would on Amazon—all while supporting HomeAid. Volunteer: Helping humans in need means far more than building and renovating houses! Once HomeAid projects are complete, consider coordinating a “Welcome Home basket” with household essentials like cooking utensils, cleaning supplies, towels or linens, to ease move-in expenses for at-risk families. Or, just pick up some grocery store gift cards or even diapers next time you’re out shopping—they’ll always go to good use! During the winter months, coat and blanket drives can also be a great help. Join our Builder Captain or trade partner circle: If you work in the homebuilding industry, we can always use your skills and expertise, either to lead a project and build a team to help, or to work in your specific area of expertise. Find out more and give us a call! Sponsor an event: Give your own organization enormous name recognition while networking with HomeAid supporters, by sponsoring one or more of our events! With events ranging from gala dinners to golf tournaments to an informal BBQ, we have something for everyone at every price point! Donate: Looking for a quick hit of support that doesn’t require time? Then make a one-time donation! Believe us when we say we understand that our supporters come from every corner of our community: Some have more time, some have more expertise, some have more financial resources. All are welcomed. Check your employer’s matching gift program: Many employers will match tax-deductible charitable contributions made by their employees, retirees and employees’ spouses. Check your company’s policies or talk to HR to see if they provide matching funds to charitable organizations like HomeAid. Of course, we always encourage prospective supporters to just call us and chat, so please reach out to Kristyn Burr if you’d like more guidance about how we can put your unique talents to work! 700 people experiencing or at risk of homelessness die from hypothermia annually in the United States, and 44% of the nation’s homeless are unsheltered. Richmond American Homes has been an important partner of HomeAid’s since 2005, serving as Builder Captain on four previous projects including the recently completed Vint Hill project, and working as part of a builder consortium made up of four residential builders on a much larger project in Alexandria in 2017. While we are truly grateful for the support of the entire company and its employees, the most public face of the company at HomeAid is Jack Gallagher, who has served on our board since 2017 and who is one of our most enthusiastic and committed supporters. A true team player, he brings fresh perspective and an appreciation for HomeAid’s model of getting major projects done through teamwork and generosity. Find out how he and his company ‘found us,’ and why they continue stepping up to help make a difference. Q: What inspired you to serve on HomeAid’s Board of Directors? 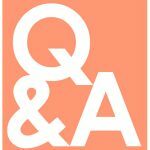 A: I became familiar with the organization through its affiliation with NVBIA, and I was very impressed with the list of industry leaders who were actively serving on the Board. 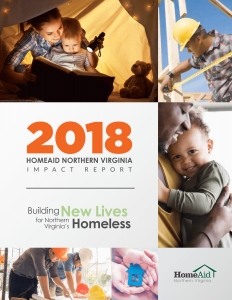 Most importantly, I continued to hear stories of the tremendous impact HomeAid was having on the NoVA community in serving its homeless population and families in need. 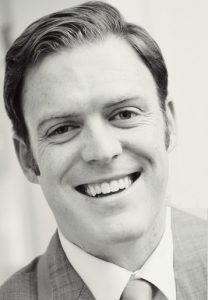 Brian Davidson is also a pretty good sweet talker, and from what I recall, it only took one lunch and a handshake to get me to say ‘yes.’ I really enjoy this opportunity to collaborate with some truly remarkable individuals, most notably our trade partners. Q: How did Richmond American Homes choose HomeAid as a philanthropic charity of choice? A: Pretty quickly after joining the Board, I became convinced that this was where we needed to put our efforts as a means of giving back to the community as a builder. We have an incredible group of trade partners and suppliers that have always been eager to jump in to supply both materials and labor, and every project we have done has been a showcase of their generosity and professionalism. The projects are a great networking opportunity for all of those involved, but I would say the most notable benefit is the strengthening bond we have established between our team members and the leadership of our trade partners in working together to give back to the community in such a meaningful way. Receiving updates and reactions as families move into the spaces is the end highlight for all of us. Q: In this region’s competitive real estate community, why do you think the HomeAid model works so well? A: In our industry, the word “home” carries a great deal of significance. So when it comes time to give back to the community, helping the region’s homeless population strikes a particular chord with all of us as a call to action. We get to utilize our strength in numbers, which translates into a much greater impact than anything we could accomplish on our own. We can set aside the competitive nature of the business and work together on these huge projects, because we’re all in the business of building communities. When we were part of the four-homebuilder consortium, it felt like second nature for all of us to work in such a collaborative manner. And it was honestly a great relief to take the competitive element out of the picture and strictly focus as a team on delivering the project on-time and under budget. Q: How did you get your start in the industry? A: I started working for Richmond American directly out of grad school nearly 15 years ago. My degree was in mechanical engineering and material science, but I was eager to jump into a career outside of a lab and into one where you could see your hard work come to life in physical form. 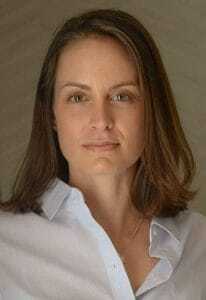 Homebuilding was a natural fit, and I started my career in land acquisition in Denver in 2004. My career in land with Richmond American took me further west to Southern California for a few years, and then progressed to Phoenix in 2009 following the downturn to head up the land team there. I was transferred to the Mid-Atlantic region in 2011, and I became the Virginia division president in early 2015. Later the following year, I was asked to take over running the Maryland Division, so we simply refer to the combined team now as the Mid-Atlantic. It’s been quite the ride! Q: What do you love most about your career in the homebuilding industry? A: Without question, the best aspect of my job is getting to work alongside my team at Richmond American. This group of amazing individuals are passionate and motivated about making each day a success, largely because we all know we are working toward the same end goals as a team. That attitude translates out to our customers and, ultimately, into the communities we build. Hypothermia – or subnormal temperature in the body – remains a leading, critical and preventable cause of injury and death among those experiencing homelessness. Joe Meyer, executive director and CEO of HomeAid partner Shelter House, was recently interviewed on 98.7 WMZQ to discuss domestic violence and family homelessness—70% of people who this organization sees who are experiencing homelessness are children! Tune in to hear his interview! Debbie Rosenstein, Rosenstein Research Associates; Mike Sandkuhler, Van Metre Homes; Kristyn Burr, HomeAid; Brian Davidson, Van Metre Homes; Jack Gallagher, Richmond American Homes; and Russ Rosenberger, Madison Homes (left to right) enjoyed catching up with so many of our Builder Captains and trade partners at the Northern Virginia Building Industry Association’s (NVBIA) President’s Ball on January 26! It’s always a great way to spread awareness of our mission and to thank the many members who have been so supportive of HomeAid. Trade partners tour Catholic Charities’ Christ House, learning along the way the necessary renovations. Builder Captain K. Hovnanian Homes – Virginia and trade partners braved January’s wintry weather to prepare for our upcoming project at Catholic Charities, Diocese of Arlington‘s Christ House in Alexandria. 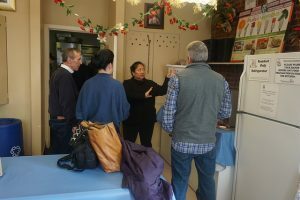 Members of the renovation team toured the building and learned more about the space that provides transitional housing for 14 men, a food pantry, emergency assistance, and a nightly soup kitchen that has served dinner every night since 1974. Our New Board is on Board! Look at this impressive lineup of movers, shakers, and doers—and meet HomeAid’s 2019 Board of Directors! We cannot say enough about this group of dedicated and committed supporters—find a face you know and be sure to say ‘thank you!’ next time you see them! The issue of available affordable housing plays a key role in ending homelessness, and our friends at the Northern Virginia Affordable Housing Alliance have released two fantastic publications—Building Northern Virginia’s Future: Policies to Create a More Affordable, Equitable Housing Supply and Research Justifications—that examine the factors influencing housing costs in the inner-Northern Virginia region, as well as the factors that have inhibited the growth of an equitable housing supply. Learn more!